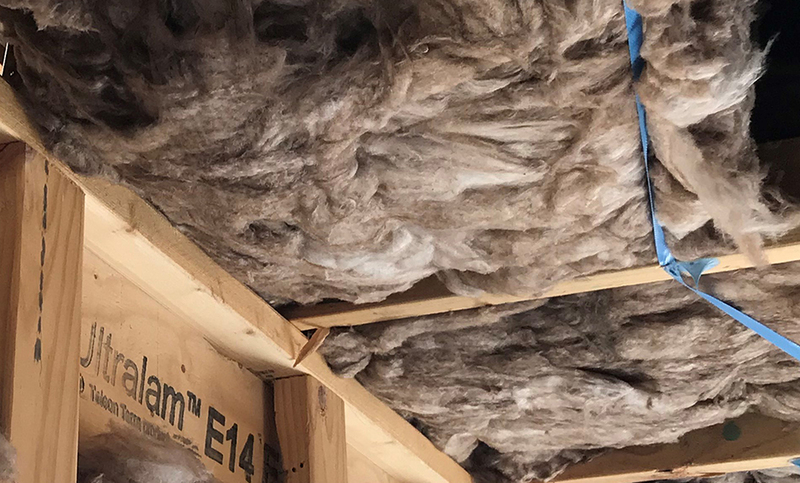 What is Aston Homes’ process when it comes to installing ceiling insulation? The Aston Homes team install the ceiling insulation at the same time that we mount the wall insulation – before we commence plastering. This process means that the insulation is put in place and then ‘strung in’ to the trusses to keep it secure. We prefer this method because it ensures the installation will be completed to the highest possible standard. Often, builders choose to lay their ceiling insulation after the plaster has been installed. They must then work around the plaster, leaving no option but to squash it into corners and hard to reach areas as best they can. This method can sometimes mean that edges are missed, and the thermal resistance of the home is decreased. Though it can be more time consuming to insulate pre-plaster, we continue to do this as we prioritise quality in every step of the building process. What materials do the Aston Homes team use? We use standard insulation batts based on each home’s individual energy report. This energy report is completed independently, prior to final engineering plans, and means that all of our homes achieve the 6-star energy rating. How do these processes lift Aston Homes above the competition? Aston Homes’ ceiling insulation installations are completed to the highest quality across the board. This is where Aston Homes rise above and beyond the competition. For other builders, the homes they build are only as good as the trade who manages the installation, so there is no guarantee that a stringent process is followed. The Aston Homes process not only guarantees greater energy efficiency in the home – it means savings in the pockets of our clients for the long term! The Aston Homes team hope you enjoy a deeper understanding of the Aston Homes building process! Have questions? Our team are happy to talk you through any queries regarding our insulation process. We’re available to chat on 1300 060 908 or visit us at astonhomes.com.au.